Gloria uses analytical rigor, construction experience, and high-touch customer service to help her clients achieve their housing dreams. With over $150 million of homes sold, including two of the most expensive homes sold on the Peninsula in 2018, she is a trusted adviser in her clients’ busy lives. 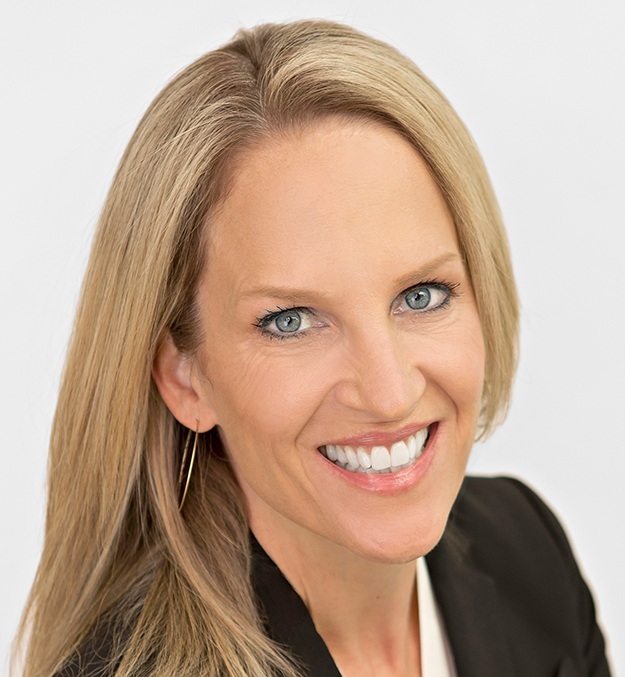 She has built from the ground up (or is currently developing) over 30,000 square feet of luxury single-family homes in Palo Alto, Los Altos, and Atherton, and over 15,000 square feet of luxury remodels. With work that spans real estate transactions, real estate development, and high-touch customer service, Gloria tirelessly enables her clients to focus on what is important in life – creating great memories with family and friends. Her Columbia Master's degree in Financial Engineering and experience in media finance enable Gloria to be a shrewd counselor about the financial side of the investment in a new house. Previously a guest lecturer on Pricing at Columbia University, she brings a wealth of analytical insight to this critical facet of buying or selling a home. Tax considerations, incorporating the right investment vehicle, and setting up the right financing are part of the network of experts she brings together. Active management of construction projects is critical to realizing the dreams of many clients. With a reliable team of architects, designers, and tradespeople, Gloria makes sure her clients’ projects get executed on time and on budget. Weekly meetings with contractors, days spent picking the finishes, and site walk-throughs are the norm, so that her clients have the security that the project is on track. Gloria has served some of the world’s most successful entrepreneurs, high-tech executives, and investors. Her network of both affluent home-owners and top-notch service providers makes her an invaluable enabler of every aspect of home ownership. Her global background (born in Beijing, grew up in Hong Kong, college in Canada, graduate school in New York) mixed with her 12 years in Palo Alto give her an understanding of what makes our community special, and how buyers from afar might become a part of it. She has just completed the design and ground-up construction of her home in Palo Alto, where her twin boys are preparing to attend public school. John brings 20 years of experience building companies and closing deals—along with a Columbia MBA—to residential real estate. John honed his marketing and contract negotiating skills in his career as a tech executive. From founding his own company to enabling the successful sale of another company to Microsoft for hundreds of millions of dollars, he has negotiated and closed hundreds of contracts. He seeks creative ways to find value, underpinned by a rigorous analytical understanding of pricing and local trends. John is well versed in contractual nuances, building code regulations, and the appreciation potential of clients’ housing investments. John has lived in Palo Alto for the past 12 years, previously hailing from New York City, Hong Kong, Tokyo, and Canada. A veteran of over 30 house moves and many construction sites in the area, John has detailed hands-on knowledge of the joys and trials of starting a new home. In 2018 he and his wife Gloria completed the design, tear-down, and complete rebuild of their home in the Crescent Park neighborhood of Palo Alto. Having backpacked around the world on three occasions, John understands that material possessions are just tools for life, not the purpose of it all. A home is a vessel for experiences, not the true end-goal. Shrewd financial management and deft targeted marketing are ultimately in service of a life thoughtfully lived. John offers his skills and perspectives to each client with tireless enthusiasm, allowing them to achieve the results they deserve. Krissie has never ventured far from the Bay Area – Born in Redwood City, raised in Menlo Park and Atherton, she attended Santa Clara University and moved to experience city life in San Francisco. She eventually found herself back in Redwood City, returning full circle to raise her family in the same neighborhood she grew up in. She has over fifteen years of experience in customer service and has a passion for helping people and seeing them successful and happy. Her local knowledge and network provides great resources for the client’s real estate needs and beyond. Krissie graduated from Sacred Heart Preparatory in Atherton and holds a B.A. in Communications from Santa Clara University. Ashley Banks is Senior Vice President and Region Manager in the Silicon Valley offices of Golden Gate Sotheby’s International Realty. She brings years of experience, deep expertise in complex transactions, and an engaging management style to her position. She helps our brokerage maintain a unique collaborative environment that helps all of Golden Gate Sotheby’s International Realty's clients. As Region Manager, she is a valued part of our team, providing brokerage support during our transactions. Erik Jacobsen, Senior Vice President of Marketing & Education at Golden Gate Sotheby’s International Realty, orchestrates successful marketing communications for the buying and selling of luxury homes. His data-driven and visual way of thinking create actionable insights and persuasive communication campaigns. Erik previously founded and ran Threestory Studio, a Palo Alto creative studio focused on the design of information. He has helped build brands in many industries, working across all media. Erik graduated with a degree in music composition from Williams College in Massachusetts. Phong collaborates with agents to create advertising and collateral to support their sales. He is an in-house employee who devotes his talents exclusively to Golden Gate Sotheby’s International Realty listings. He is a get-it-done creative/tech savvy type and clients love his reliability and quick turnaround. Phong graduated with a BFA in Graphic Design at San José State University in 2009.